FunAir is thrilled to announce a three-year partnership for the popular Monaco Yacht Show Captain and Crew Lounge – the meeting place for captains and crew during the four-day show. The long-term agreement with the MYS follows FunAir’s hugely successful American season where their climbing wall and Floating Island with inflatable chaise loungers were met with great enthusiasm. 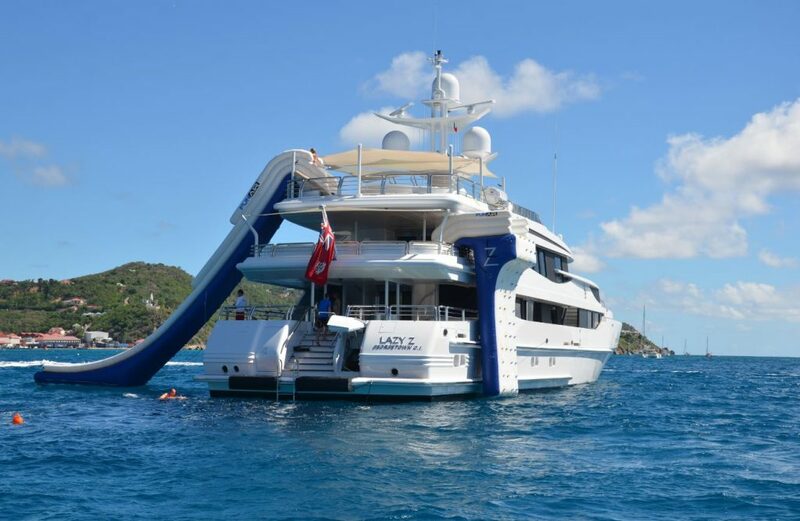 FunAir yacht specialist John Courtney said strategic affiliation with Monaco Yacht Show demonstrates the company’s commitment to the most prestigious yacht show in the world. 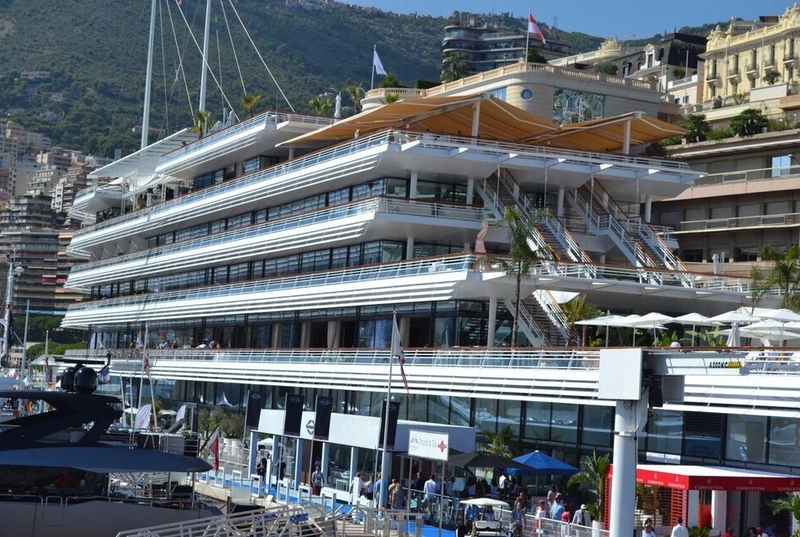 “Having enjoyed phenomenal success at last year’s event we couldn’t think of a better way to underscore our continued support for the Monaco Yacht Show. “By partnering with the show, we can continue getting to really know our clients, ask them questions and seek feedback on what we’re doing with our products. With the exception of captains and crew, only partners such as FunAir have access to the lounge making it the perfect meeting point. Climbing walls have become the latest ‘must have’ product and was the top choice for American crew surveyed in 2015. 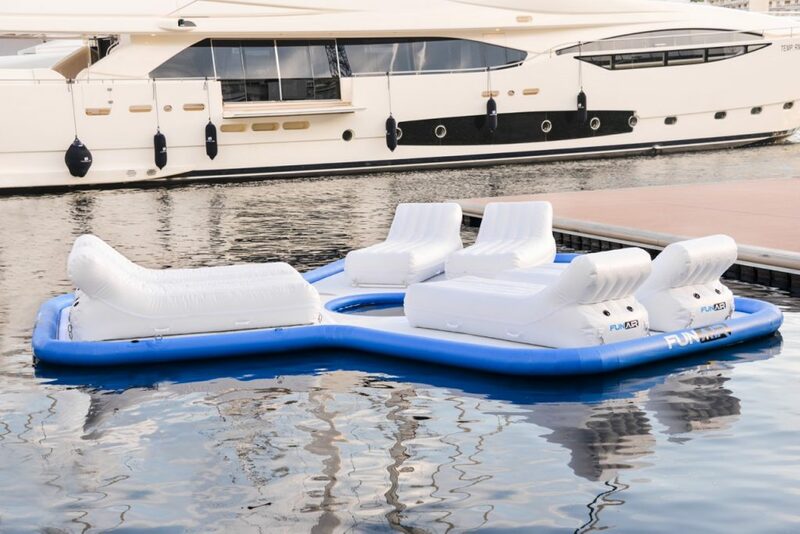 The team at FunAir are confident this trend will only continue and more captains and crew will drive demand for must have inflatable yacht products. With approximately 120 yachts on display during the Monaco Yacht Show, and another 140 at anchor in the Bay of Monaco, more than 260 captains plus their crew are looking for some down time during the frenzy of the show. This is where the MYS C&C Lounge makes the perfect escape and the team at FunAir can engage in more relaxed conversations with crew. “The MYS Captain and Crew Lounge really is an oasis of calm amid what is an intense four days. Last year we found that captains and crew welcomed the chance to take time out to chat with us and of course sample some fun!” said John. Find the FunAir team in the Captain and Crew Lounge at this year’s Monaco Yacht Show, on Quai Louis II right next to the Yacht Club. The MYS C&C Lounge will be open each day from 8:30am until 7:00pm, before, during and after the exhibition opening hours. To speak with FunAir email yachting@funair.com or call +1 512-593-5133 to arrange an appointment. As clients go, FunAir are a marketeers dream. Great bunch of people who love what they do, producing really cool products that are both visually stunning and jam packed with FUN! Global Superyacht Marketing recently produced a video for them to use at yachts shows around the world. Debuted at the recent Dubai International Boat Show, watch out for this video on the big screen at all the big yacht shows in 2016. Not just for superyachts… TUV Consultancy now offers its pre-recorded interview screening services to the wider shipping community. Most cruise ships have over 1000 staff working on board at any time. Anyone who has worked long term in the shipping industry, be that on board a superyacht, a cargo vessel or cruise ship, will know that close living quarters, tough shifts and being part of a 24 service to the customers can be tough. Having a good team, who work well together, and play well together is really important in this kind of environment. Just one ‘rotten egg’ can affect everyone, including the customers! The wider maritime industry needs an effective global recruitment process. Finding those 1000 cruise ship team members, who have all manner of skill sets, is a recruitment challenge and a half. Finding a team of people who can work in close confinement to each other, who often need to have several languages under their belt to accommodate customer requirements, is a logistical nightmare. This is where TUV consultancy comes in. Starting in the superyacht sector, but now available to all shipping industries, their video interview screening service has been welcomed with open arms by professional seafarers. Currently the 450,000+ officers serving on international trading vessels are usually recruited from North America, Europe and the Far East. Overcoming time zone challenges between these three areas can be difficult. TUV Consultancy is already receiving praise for their easy to use software and the fact that candidates can pre-record their short video responses with as little as 0.3mb upload speed. Potential employers can then watch the videos at a time convenient to them, and also assess candidate’s body language, personality and presentation skills. None of which is possible with a printed CV or telephone interview. Set to revolutionise the way recruitment is conducted, contact TUV Consulting today on info@TUV-consulting.com and check out their Facebook page. 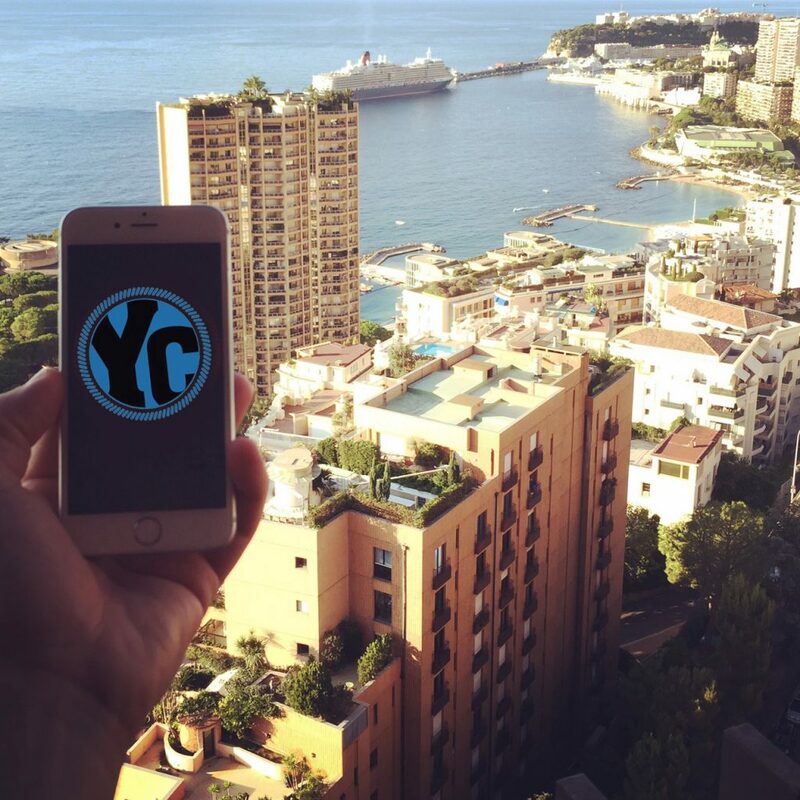 Less than a month since YACHTCHAT launched, and the social app for yachties everywhere has been a roaring success. Over 1800 Captains and crew downloaded the app in the first two week. Although the majority of downloads have come from Monaco, the French Riviera and Fort Lauderdale, the app is being used in Thailand, Australia, China and New Zealand. So many Captains and crew from Fort Lauderdale and surrounding areas downloaded the app in the first week that founder Tony Ryan jumped on a plane and headed to the Miami Yacht Show to talk with crew and get feedback on the new app. Branded as ‘Tinder for Yachties’ by The Crew Reports Editor Lulu Trask, this app uses geo-location software to put yachties in touch with other yachties in the area they are currently in. It also has a day working feature that allows Captains to pick from a list of people available to work that day in whichever port they happen to be moored. Talking with crew at the Miami Yacht Show it became clear that some people wanted to use the app purely for its ‘Tinderesque’ functionality to meet other yachties around the world. However one Captain pointed out that he would use the app only to recruit day workers and didn’t really want to be messaged about meeting up at a local bar on Saturday night. Tony quickly responded with an update to the app that allows people to choose if they are using YACHTCHAT socially or just for work. There are many more updates planned for this unique tool including upload a CV for Captains to view, send video clips to other users and uploading a video CV. Tony commented, “It was important for us to have YACHTCHAT ready for the start of the Mediterranean season. For new crew it will be an invaluable tool to help them find day work and gain valuable industry experience. We are also adding a star rating for day workers due to feedback from Captains, so they will be able to see who are the best workers in the area without having to try people out for a day.